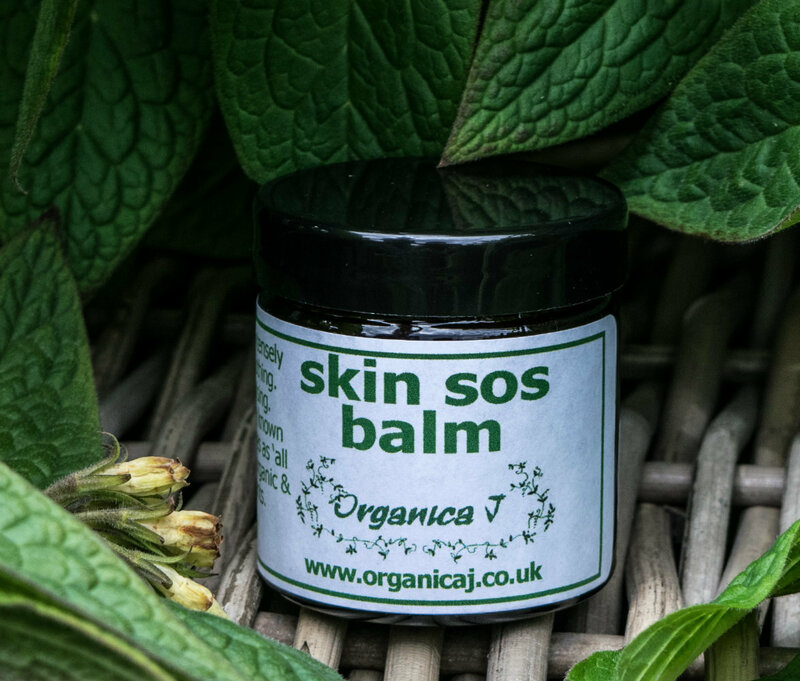 The Skin SOS Balm was developed following many requests from customers for a product that would specifically help with scars, and minor skin issues, The Balm contains a rich blend of powerful organic carrier oils and essential oils, which can be helpful on scars, also on psoriasis and eczema-prone skin. Protective, calming and regenerating. With the use of the carrier and essential oils this balm penetrates the skin effective nourishing to a deep level. Made with 100% organic and wild crafted ingredients including our own comfrey harvested in Aberdeenshire. Use for new tattoos or after tattoo removal. As part of the development stage, the balm was also tested by several tattoo studios in Aberdeen, Ayr and Manchester. It was noted that the balm was most effective when used regularly and covering the whole skin area affected. 'Can you to send me another pot of the Skin SOS Balm as I am liking it a lot. It took away a largish non-cancerous mole that I had had for a while, just leaving it with a feint mark and so now I am applying it to some small tags I have on my body. Meanwhile I am using it for other marks and blotches and feel that it is doing them and me good.' A. Amison, Bognor Regis. 'I used the balm on my new tattoos, it worked perfectly and they healed quickly. It wasn't sticky and didn't smell strongly like some of other brands I've used before. It really did the job. Sam Simpson, Montrose. *helianthus annus (sunflower), ~ symphytum spp. 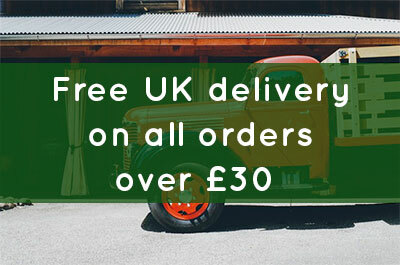 (comfrey leaf), *olea europea (olive) *cera alba (beeswax), *rosa canina (rosehip), *triticum vulgare (wheatgerm), *lavandula angustifolia (lavender), *rosmarinus officinalis (rosemary extract), *matricaria recutita (german chamomile), *daucus carota (carrot seed), *helichrysum italicum (everlasting), limonene, linalool, geraniol, eugenol, coumarin (from essential oils).